The team moved excavated soil and rubble with the ALLU Transformer D-Series bucket. A selection of ALLU D-Series Transformers helped process a variety of materials in four different countries in Asia and the Middle East. The ALLU equipment has been provided and supported by ALLU’s dealers in the countries. The ALLU Transformer D-Series comprises an excavator/ loader/ tractor-mounted attachment which screens, crushes, aerates, blends, mixes, separates, feeds and loads materials. 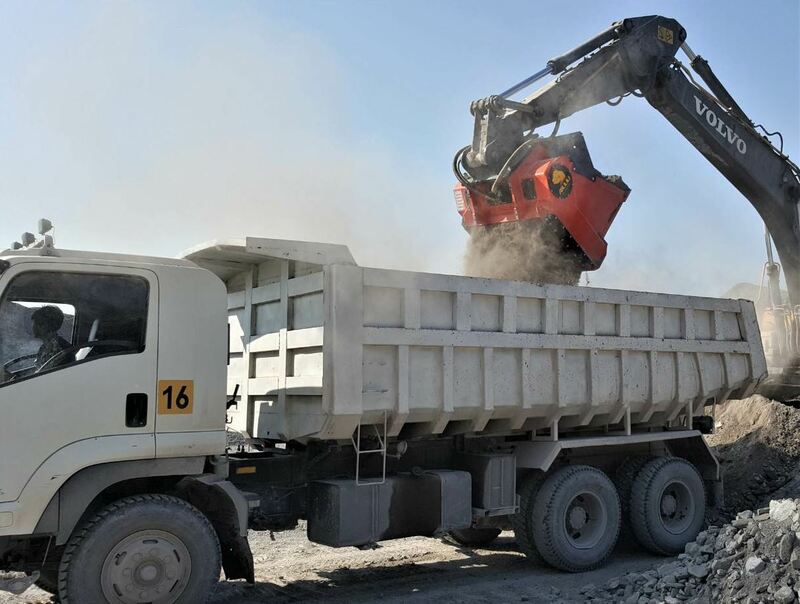 With its screening attachment, the Transformer D-Series has proved to be ideal for a variety of screening and crushing projects. At the heart of the Transformer D is the unique top screen of its bucket. This is where the screening blades spin between the top screen combs with the end material size being defined by the space between the combs. 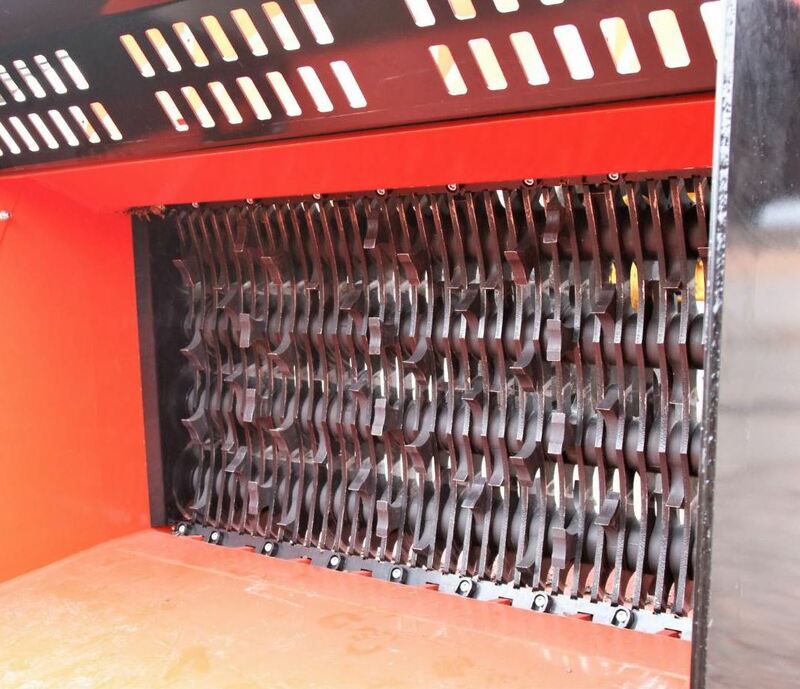 Effectively these screening combs carry most of the material weight to ensure the drums and bearings take on less impact and load. A customer in Thailand is successfully using a DN 3-12 Transformer with TS 16/32 blades set to 32 millimetres. This is being used to screen waste material to fine soil. The ALLU Transformer Series comprises an excavator/loader/tractor-mounted processing bucket which screens, pulverizes, aerates, blends, mixes, separates, crushes, feed and loads materials. In another application, a Japanese company is using a DN 2-12 Transformer with a TS 35 setting to crush bark. ALLU exhibited at the Kagawa Prefecture Forest Machinery Demo Exposition, being represented by its dealer in Japan, Okada Aiyon Corporation. The exhibition itself was devoted to the problems of the forestry industry and future opportunities for wood-based manufacturers, such as optimization and cost management. The exhibition proved a great occasion to network with customers and partners, and to examine recent market trends and innovative solutions. The Okada Aiyon team also demonstrated the D-Series crushing and shredding waste bark from log pieces to a burnable or compostable 0 to 25-mm size. As the cases show, the ALLU Transformer D-Series has proved ideal for dealing with excavated soil and rubble, with processed material not needing to be transported away and replaced with fresh soil. Additionally, binders can be mixed if the job requires stabilization.